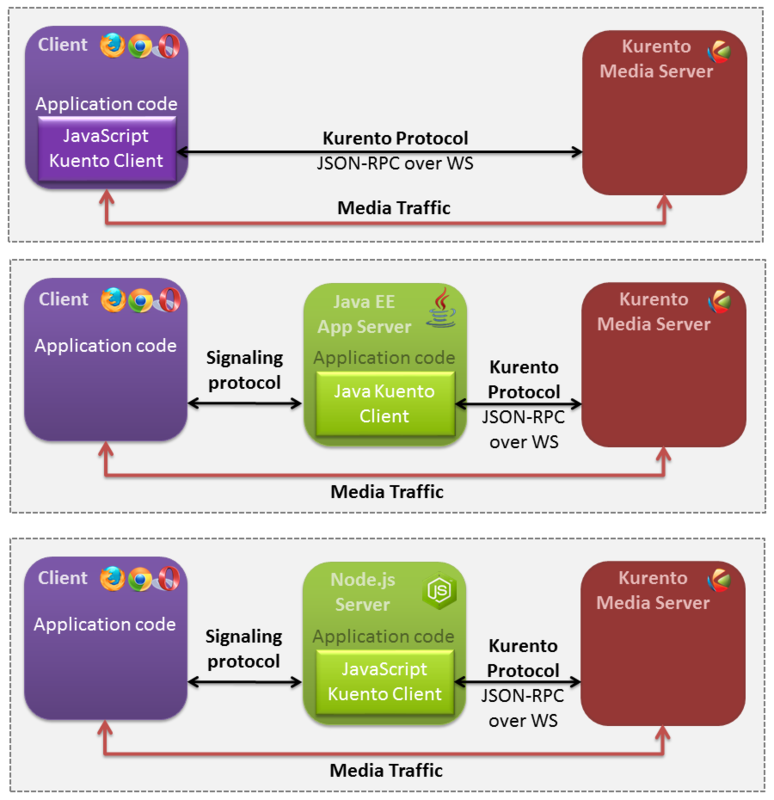 Kurento Client’s API is based on the concept of Media Element. A Media Element holds a specific media capability. 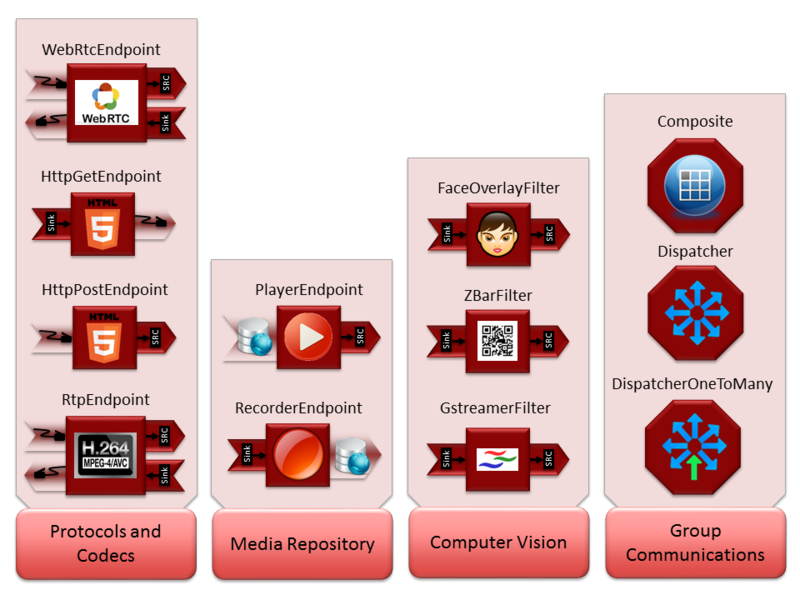 For example, the media element called WebRtcEndpoint holds the capability of sending and receiving WebRTC media streams, the media element called RecorderEndpoint has the capability of recording into the file system any media streams it receives, the FaceOverlayFilter detects faces on the exchanged video streams and adds a specific overlaid image on top of them, etc. Kurento exposes a rich toolbox of media elements as part of its APIs.